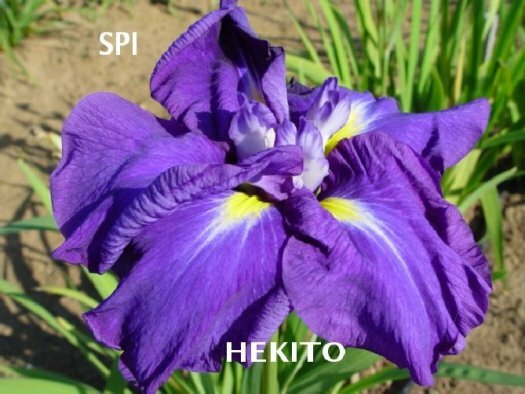 'Hekito' ( Shuichi Hirao by Society for Japanese Irises, registered 1992) JI (6 Falls), height 31" (80 cm), Late bloom. Cobalt blue, signal yellow; style arms white, tipped blue. Parentage unknown. Hirao 1958.